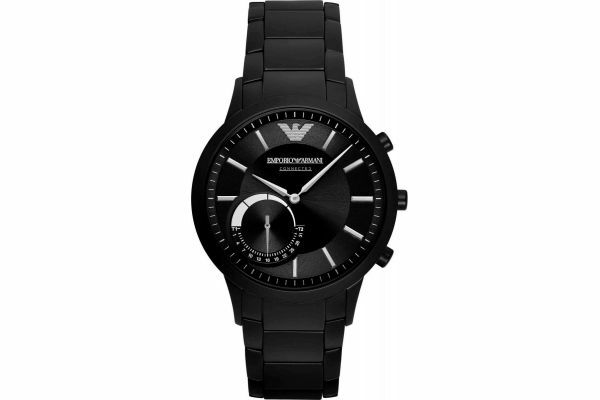 Brought to you by renowned fashion designer Emporio Armani comes this stunning range of hybrid connected smartwatches. Combining the traditional aesthetic of an analogue display with today’s modern technology these striking watches make for the perfect timepiece for those who admire original design but still want the most up to date technology on their wrist. 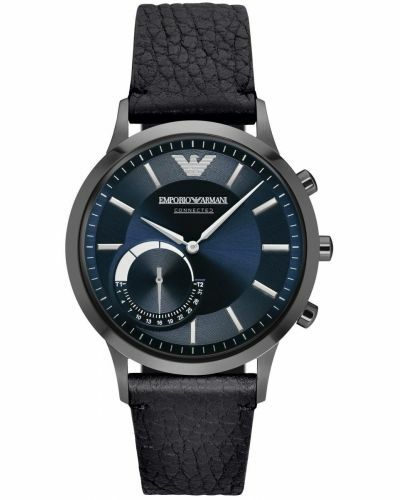 Armani Hybrid watch wirelessly connects to your smartphone and allows for you to track your activity; monitor your sleep, receive subtle notifications through vibrations and control your music. This smartwatch also allows you to take photos and set daily alarms. Simply connect to your smartphone and use the Armani Hybrid Connect App to control the functions of your new smartwatch. 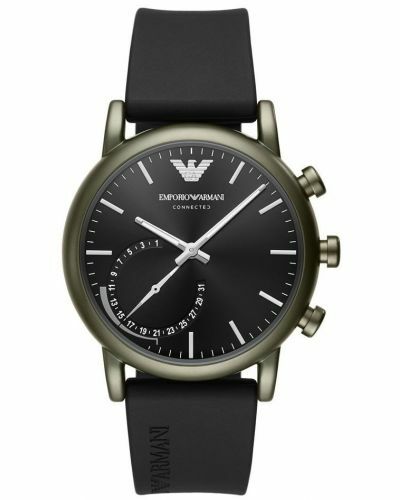 Featuring a round 43mm black Ion plated stainless steel case and protected by mineral glass this bold watch is water resistant up to 30 meters. The alluring jet black split level dial is sharply contrasted by the stunning silver hour markers and batons. A smaller sub-dial allows for easy tracking of your activity levels. 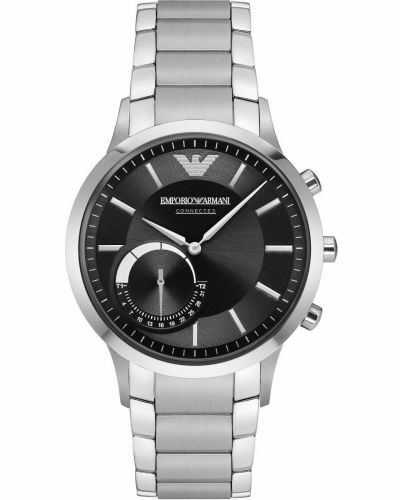 Set upon an enthralling black Ion plated stainless steel link bracelet with a matte effect finish and fastened by fold over push deployment clasp the Armani hybrid connected watch can be worn for both formal and casual attire. Powered by Quartz movement this hybrid smartwatch does not require charging. Complete with a 2 year guarantee. Free UK delivery– Royal Mail First Class Recorded as standard. Items over £150 sent automatically by Royal Mail Special next working day delivery. Items under £150 - UK next working day delivery also available when you checkout. 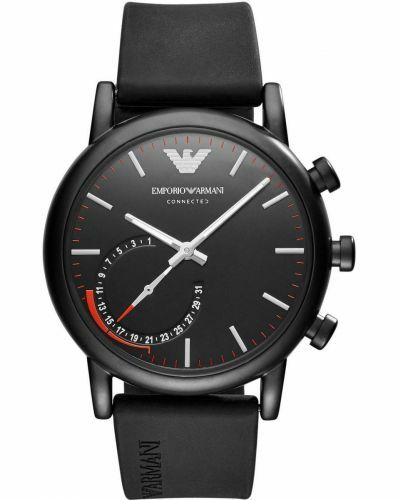 For us to size your new Emporio Armani Connected Hybrid watch as accurately as possible, please take a look at our downloadable Watch Sizing Guide.